Only one person ever treated Juliana Holcott with anything other than disdain—Nicholas Barre, the orphaned heir to the estate where she spent her childhood. And when wild, rebellious Nick left home, Juliana was left to fend for herself. 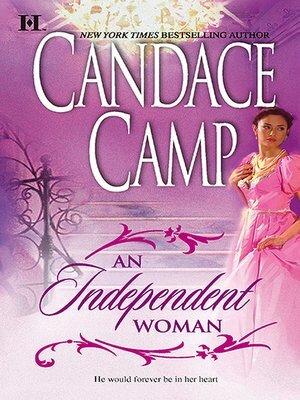 Forced to seek employment as a lady's companion, Juliana has resigned herself to a life of lonely independence...until Nick's innocent attentions at a ball cause her to lose her position, and he offers her the only recompense he can—a marriage of convenience. It now falls to Juliana to prove to Nick that he is capable of the love they both so richly deserve. But when a guest at their wedding turns up dead, they must pursue a more urgent quarry—a murderer. Will one man's greed and bloodlust ruin their chance at happiness...or will love conquer all?